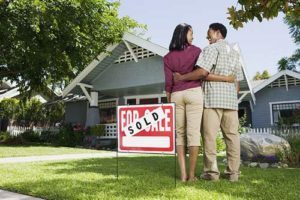 Selling your house today no longer requires that you hire a real estate agent. In fact, many property owners across Australia are managing to sell their properties themselves and quite successfully through private house sales. Private home sales work through For Sale By Owner websites. Properties are listed on these websites by the owners and they get much more visibility which enables them to sell. To understand why private house sales are putting real estate agents out of work, we need to consider the strategies that make them work. To use an agent to sell your house today is a waste of your money. The things that they do to help you sell your house are things that you can do yourself without taking a great hiatus off your schedule. One of the major things that they did in the past was prepare and distribute marketing material like flyers and signage. You can get these things with little or no help. If you don’t know how to make flyers on your computer, you can hire a private vendor to do it for you. They will not cost you much and most of them are fast and efficient. 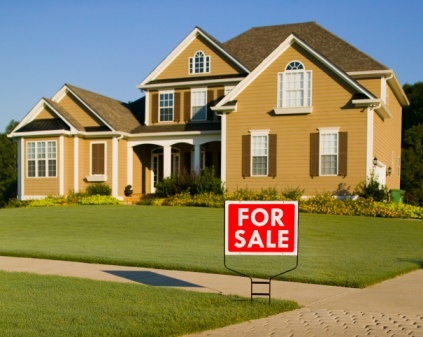 Many For Sale By Owner or FSBO as they are otherwise called have signs and a flyer service. For a small additional fee, they usually make these things for you within 24 hours and have them delivered wherever you want them. The second thing that real estate agents did for their clients was to get visibility for the property. Today, listing websites have taken over this role. In a simple and short process you can sell your property privately by listing it on these websites. All that is required is that you get a very accurate description of your home and 20 or 30 photographs of it. You then go on the website and put in your contact details and the description and the photos. For a small fee, these websites will in turn list your property on the biggest property websites in Australia. 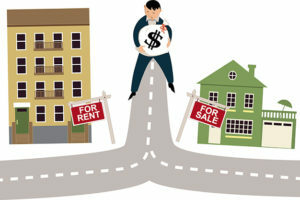 These websites attract the highest number of people looking to buy, sell or lease real estate. The people who visit these sites are ready buyers so you can be sure that before long you will have enquiries. You handle all of them yourself and show the property. You also negotiate the price and close the deal. At no point in this process will you need the help of a real estate agent. You don’t need to pay the FSBO any money in commissions after you make the sale. You may be wondering why you cannot go to these big sites yourself and make the listing. It is because these sites can only be listed on by people who have real estate agent licenses. The For Sale by Owner websites has the licenses and that is why they are able to act as a bridge between you and the big websites. Traditionally, when you hire a real estate agent they will ask you for a marketing budget. They can either ask for it upfront or take it from the proceeds of the sale. You have no control over how they spend the money and even how much of it they spend. FSBO websites allow you to do your own copywriting, your own marketing and even negotiation. This allows you to save a lot of money that you would otherwise have wasted on your agent. Some property owners are worried about doing private house sales because they feel they cannot write good copy. Don’t worry so much about that. There is a lot of on line material about copywriting and if you feel completely stuck you can always hire a copywriter for a small fee. Taking photos for the listing only requires a good camera but if you feel you cannot handle it, hiring professional photographers will cost you very little. These options are making property owners very wary of real estate agents. The news is spreading fast all over Australia that people are selling their properties. So when real estate agents approach property owners to ask for business, it just doesn’t seem right especially if they are asking for a high commission. The going rate is usually between 5% and 10% of the proceeds from the sale. Compare this to what FSBO sites will charge you – most charge less than $1,000. You don’t have to be a genius to know that paying a real estate agent is not really the way to go. There is a small positive for real estate agents that has come from all this. Many property owners feel that they cannot handle the negotiations very well. They are educated about private home sales and they can do the marketing and the showing of the property but they feel they may be stiffed on the price. That is the only time they contact a real estate agent. For a small fee, they get the agent close on the best price possible. You don’t have to go this route if you have a friend or a relative who as negotiating skills. Have them negotiate for you and close the deal. You can reward them with something small.